January eNewsletter - Hot off the Press! Hot off the press! 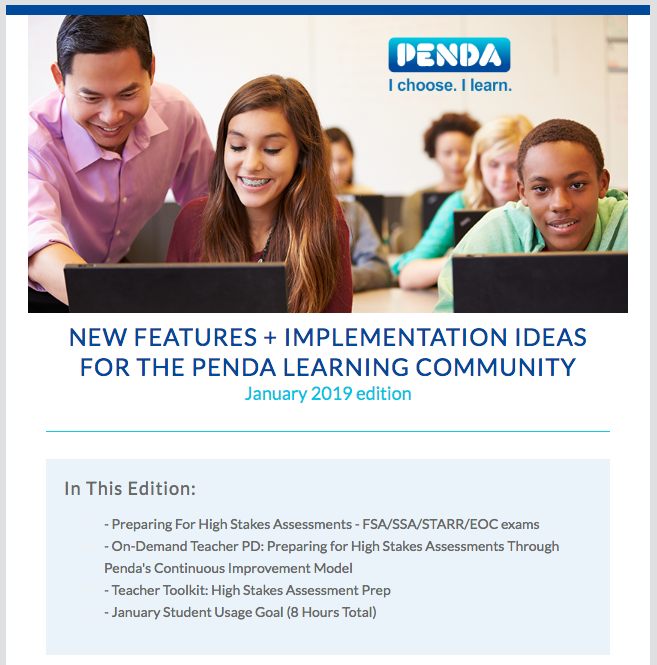 Penda Learning's January enewsletter is now available! This edition is dedicated to high stakes assessment prep and continuous improvement via the use of Penda Learning. Be sure to check out the 24/7 online on-demand video included in this months enewsletter for self-help how-to guidance.